These little puffed gemstone hearts make great presents. 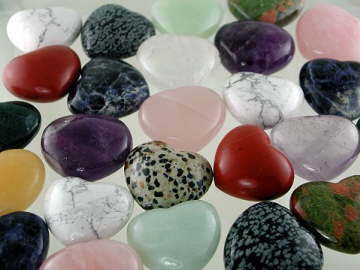 Each one is made from a genuine gemstone/mineral and there are 11 different types to choose from. Price is for one heart. Comes with a pouch.